But everything is not as it seems. 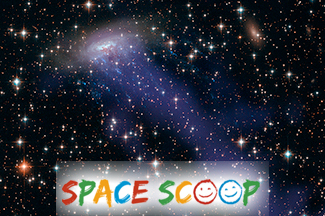 Deep in space there is a spiral galaxy being violently ripped apart by its neighbours! 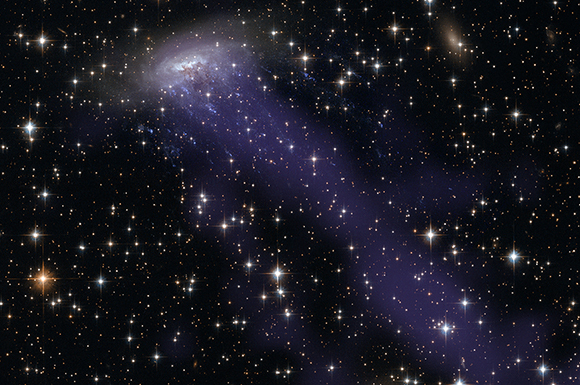 ESO 137-001 is part of the Norma Cluster, a cluster of galaxies near the centre of the Great Attractor. We're not exactly certain what The Great Attractor is, but it definitely earns its name! The region is so massive and has a gravitational pull so strong, that it is pulling entire galaxy clusters towards it! Even our Galaxy is being slowly dragged towards this mysterious part of space. Cool fact: The nature of the Great Attractor is totally unknown to astronomers. Most likely, the Great Attractor is a gigantic cluster of galaxies with a million billion times as much mass as the Sun.